You may have seen those big metal things along the tops of a fire escape door at a restaurant or store. Do you know what they are actually for? Well, those big metal things can be adjusted to close at a certain speed, and they can be used to keep smoke and fire from escaping the room if it does happen. Not only that, they can also be used to maintain the temperature in a room. It closes the door after someone opens it. Okay, so let me tell you a little bit more about this product. - Comes with an adjustable arm, mounting screws, a screw cap, and of course, an instruction manual. - You can install it onto a metal, wooden, or glass door. - It can be used in a commercial or residential property, so yes, you can install it in your own home. 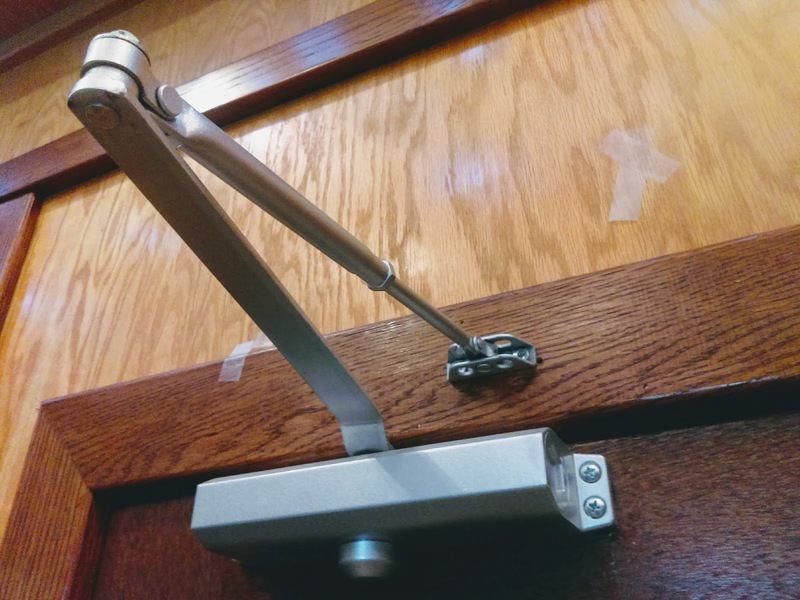 If you were to install it on a door at home, such as your front or back door, it would keep people from slamming your door, keep it from blowing open or shut on a windy day, closing on someone's (such as a child's) fingers, etc. It can be really useful when you think about it, and protect your door from some kinds of damage! I received this product in exchange for my unbiased review.